PADI now offer the Touch for; Open Water Diver and Equipment Specialist Courses and are looking to extend this range in the near future. You don't need an internet connection for knowledge development once you have download the Touch, so you'll have the flexibility to learn anywhere, at any time. You will, however, need to go online to take the quizzes and access your online eLearning record. 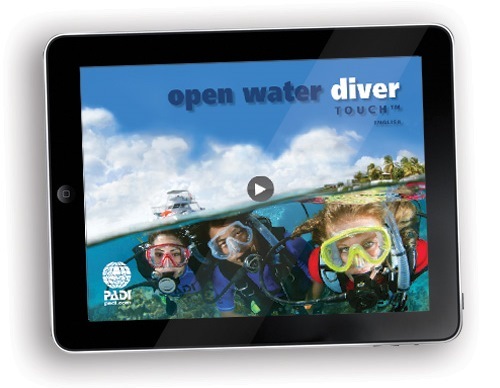 Download the PADI Library application now for iOS and Android to experience an introduction to the Touch. The real saving here is time, which can be very precious on holiday. With PADI's eManuals, you will be sent a unique code in order to access the eManual either online or downloadable. This will enable you to do the necessary reading and to complete the course reviews (Knowledge Reviews) prior to your arrival. This will save you homework time once you arrive, so more time to relax. You will however still need to watch the course DVDs and attend all the theory sessions. This is included in the price of your course. Click the tab LEARN MORE below for further details of the courses for which eManuals are available. This is a downloadable App for your tablet, available for both iOS and Android. The Touch is a truly interactive learning experience. You don't need an internet connection for knowledge development once you download the Touch so you'll have the flexibility to learn anywhere, at any time. You will however, need to go online to take the quizzes/final exam and access your online eLearning record. 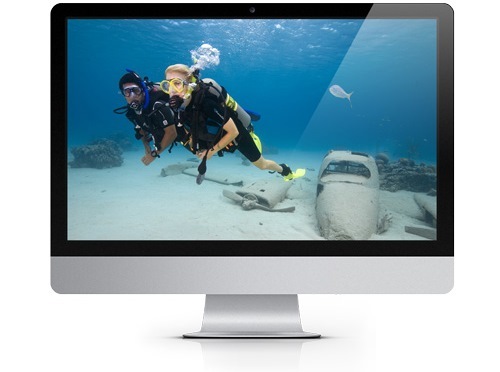 Follow this link for further details of the courses for which the PADI Touch is available. Click the tab LEARN MORE below for further details for courses for which the PADI Touch is available. 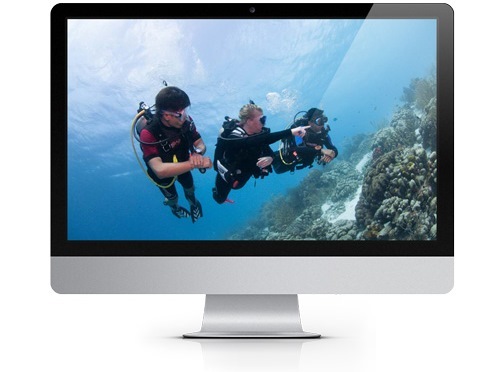 PADI offer eLearning for; Open Water, Advanced Open Water, Photography, Nitrox, Rescue and Divemaster Courses. Some online courses offer greater holiday-time saving benefits than others. This is an online version of the course theory, much the same as the Touch but accessible only online on your PC or Mac. 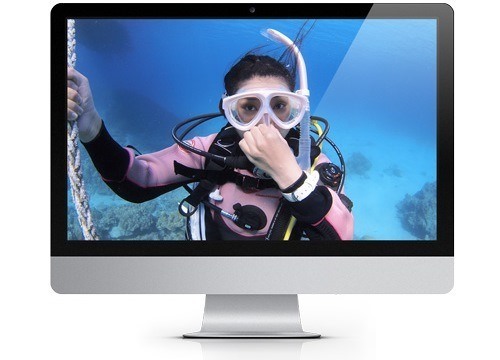 Click the tab LEARN MORE below for further details Courses for which PADI eLearning is available.